Since we’re about half way through the 2018-19 cold and flu season, it seems appropriate to mention various ways people have ineffectively looked for remedies. There is still no cure for the common cold, but that’s not because remedies haven’t been attempted. We now know that over 200 viruses are able to cause a cold, with the most common one being the rhinovirus, first identified in 1956 by the Common Cold Unit that operated in Salisbury UK from 1946-1986. And we know a cold will run its course in one or two weeks, with or without medication to alleviate symptoms. But it wasn’t until the 16th century the disease even had a name, when it became known as a cold because it people “caught” cold more frequently in the colder months of the year. Here is a short history of various remedies desperate people have used to cure colds. 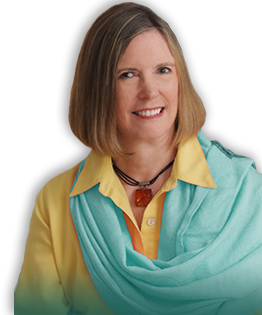 Some alleviate symptoms; others not so much. But remember there is no cure. In the Ancient World . . . 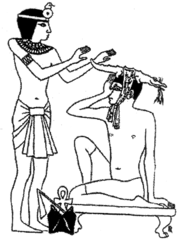 The Egyptian Ebers Papyrus written about 1550 BCE advised sufferers to recite an incantation, and ingest the milk of someone who had given birth to a son. Fragrant gum was also recommended. An ancient Chinese remedy is the use of ma huang, an herb brewed as a tea. Ma huang contains pseudoephedrine, a common ingredient in modern over-the-counter cold medications. Hippocrates thought colds were caused by a build up of waste matter in the brain. Presumably because of the liquids patients expelled through the nose, eyes, and mouth. Pliny the Elder recommended a wolf’s liver administered with mulled wine to cure a cough. If that failed, he prescribed eating frog’s legs or drinking horse saliva for three days. He also mentioned honey to sooth the throat. About the year 60, a Roman surgeon suggested chicken soup as a remedy for cold sufferers. The soup is still used to alleviate symptoms and is scientifically proven to have a good affect, because chicken has cysteine, an amino acid with decongestant properties. Moving on to the Dark Ages . 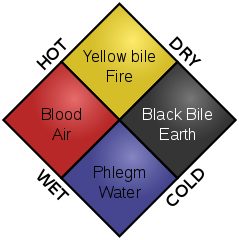 . .
People in medieval times thought the body had four humors: blood, phlegm, yellow bile, and black bile. And since people suffering from colds ejected mucous, it only made sense to remove as much liquid as possible from the body so the humors could be restored to their natural balance. Bloodletting, often through the use of leeches, and induced vomiting were considered helpful. Many people also thought that if someone sneezed, his or her soul could leave the body, and told patients to cover their mouths to save their souls. The fact that the action helped reduced the spread of the disease was an unknown benefit. Modern Times at Last . . . In the Early Modern Period, from about 1500 or so, people thought getting wet could cause a cold. Likewise, getting a chill or being outside in cold weather. People with colds were discouraged from bathing – not that people did much of that anyway. But there was a concern that bathing would soften the skin and weaken the body further. Suggested treatment for a cough was a paste using celery or parsley seeds mixed with honey, anise, pepper and a little wine to be applied to the chest every morning and evening. Ever heard the saying “Feed a Cold; Starve a Fever”? That suggestion dates to the 1500s when people thought fasting could remedy a fever, but eating would warm the body and help it overcome a cold. There were other suggested cures. Emily Jane Sneyd advised a mixture of sweet almond oil and a syrup of violets, and a topical stomach application of plaster of candle wax, saffron, and nutmeg. I’m not sure if it’s the sugar, the cherry flavor, or what, but these children seem delighted to take more of Ayer’s Cherry Pectoral to Cure Colds, Coughs, and All Diseases of the Throat and Lungs. Victorian Suggestions . . .
Mrs. Beeton’s Book of Home Management (1861) included a chapter on “Invalid Cookery.” Mrs. Beeton swore by her hot toddy which would cure a cold in 2-3 days. [And if it didn’t, I’m sure the patient was happy anyway.] The Recipe directed the cook to put a large teacup full of linseeds, a quarter pound of raisins and a two ounce stick of licorice into two quarts of water simmered over a low fire, until the liquid reduced to one quart. At bedtime the patient should be given half a pint to which sugar, rum and lemon juice were added, presumably to improve the taste. For chest colds, Mrs. Beeton recommended a flannel dipped in boiling water, sprinkled with turpentine to be laid on the patient’s chest as soon as possible. Yikes! Other curatives and preventatives were still in use in the 20th century . . . Put sliced onions in your socks or shoes. Wear nutmeg around your neck. Eat a raw onion, or put a slice of onion in a glass of milk. Rub camphorated oil on your chest to encourage coughing. Rub your chest with fresh, warm goose grease. Place brown paper or flannel on top of it. For a sore throat, wear unwashed lamb’s hair that’s been dunked in brandy around your neck. And be patient, no matter what you do, it takes one or two weeks to get over a cold. 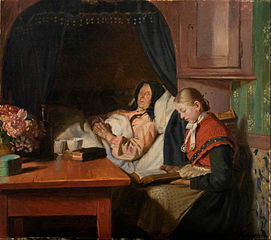 By a Sickbed by Michael Peter Ancher. Public Domain. The Drunk by Charles de Groux. Public Domain. Children Reaching for more Ayer’s Cherry Pectoral. Public Domain. Hilarious Cures for the Common Cold. CBC Kids. 7 Old-Fashioned Remedies for the Common Cold. Mental Floss. Mar. 13, 2017. Katherine Allen. “Curing Coughs and the Common Cold in the Eighteenth Century.” The Recipes Project. Nov. 19, 2013. Nicola Davidson. “Why Can’t We Cure the Common Cold.” The Guardian. Oct. 6, 2017. Jon Kelly. 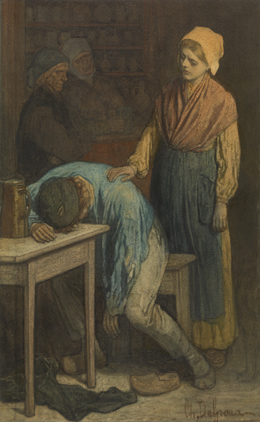 “Common Cold: The Centuries Old Battle.” BBC News Magazine. Oct. 4, 2011. Carolyn Rance. “Sick Tricks: 10 Victorian Ways to Cure a Cold. Whizzpast. Oct. 30, 2014. JR Thorpe. “9 Old Fashioned Cold Cures.” Bustle. Oct. 1, 2018.